Hard water has given my hair a real hard time. I have talked about my struggles with hard water. It caused my hair to become dry, rough, and lifeless. But Now, after many trials and errors, looks like I have finally won the fight against hard water. Now hard water doesn’t bother my hair anymore. I still live in London and I haven’t installed a water purification system. I just follow certain hair rituals and use certain herbs and those seem to work beautifully in hard water. I will share with you what exactly I do and use, so it may benefit you as well. It’s really very simple. 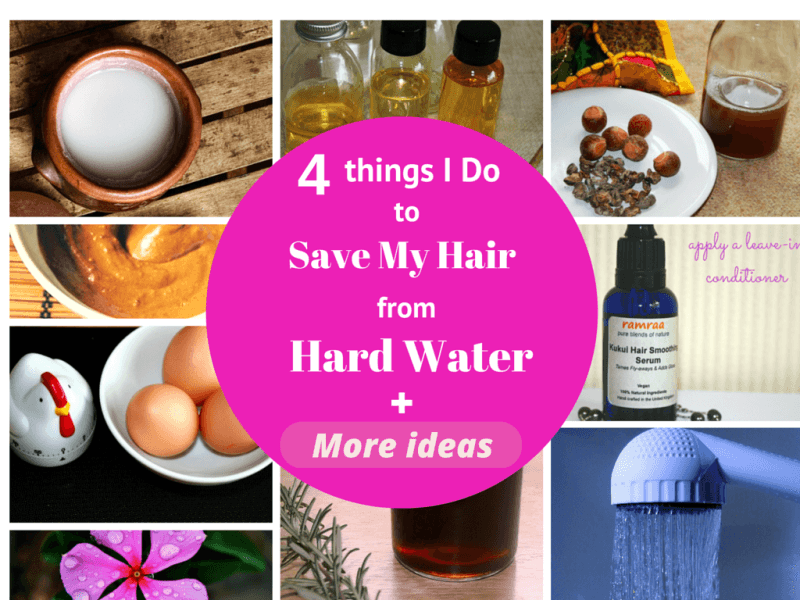 Here are my tips to beat hard water hair. I wash my hair twice a week. And before washing I always oil my hair – I use Brahmi & Amla oil. Oiling helps massively. It kind of works like a protective shield and prevents hard water from leaving any mineral residues on my hair. I have noticed whenever I skip oil massage my hair feels dry and rough – as if it has accumulated the mineral deposits. You don’t have to let the oil sit overnight, even as little as half an hour works pretty well. Once a week I leave the oil on overnight and other time I just keep it for an hour. That way I deep condition my scalp and hair and keep it nourished and shiny. Reetha and shikakai are the best hair cleansers for hard water. Trust me, I have literally tried every shampoo on the market. These Indian herbs work so well in hard water because they contain natural chelating agents which help to remove the mineral build-up. Plus, both shikakai and reetha are known for their benefits for healthy scalp and hair. They not only cleanse hair, they add body and luster and make hair feel thicker, silky and smooth. I don’t even have to use conditioner anymore. You don’t have to use reetha and shikakai together, but I do. I find the combination of these two herbs absolutely magical for my hair. licorice (mulethi) – for its hydrating and softening properties. And if your hair is normal to oily you can use reetha, shikakai and amla together. Never used these herbs before here’s my favourite recipe, you can also try this one or this one. Using an egg as shampoo is pretty simple. Crack a couple of eggs into a bowl and use a fork to whisk them well. I also like to add amla or shikakai (you don’t have to) to the egg shampoo. It just helps to mask the egg smell and benefits my hair too. To use, massage through the hair like a shampoo, then rinse off thoroughly. 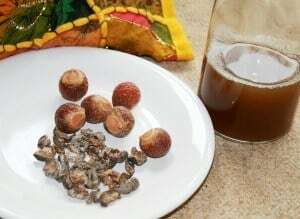 You can also add essential oils, warm water, oil, honey, amla or other herbs to the egg mixture – more on how to do it here. Natural hair rinses or herbal teas are another wonderful way to tackle hard water. Pour 1 cup of boiling water over 2 or more tsp of herb of your choice. Steep for at least 30 minutes covered. Then strain and use. It’s that simple! Use as a final rinse. You can gently rinse with cool water or, for extra conditioning benefits, just leave it in and towel dry hair. These are the ways I use to deal with hard water. Besan works really well in hard water and cleans hair beautifully. Plus, it even get oil and grease out of your hair. To make besan cleanser, take 3 tablespoons of besan in a bowl. To this add 2 tablespoons of yogurt and some water to make a smooth paste. You can also add some aloe vera juice for silky shiny effect. To use, wet hair, then massage the besan mixture into the scalp and hair and leave it on for 4 to 5 minutes. Then rinse off really well. Rye flour is another good option to wash your hair if you live in a hard water area. Similar to besan, this too cleans your hair pretty well. Just mix rye flour with water to make a smooth paste – consistency of a yogurt. And use this mixture to wash your hair. For those of you with dry hair, make a rye flour tea. Mix 2 tablespoon of rye flour with 1 cup of water, and let this mixture sit for 2 to 3 hours – this will infuse the water with all rye goodness. Next, strain it out and use this rye tea to wash your hair. This lovely Moroccan clay is another wonderful option you can use. It is highly moisturising and works best for people with dry, coarse hair. There are few ways you can use this rhassoul clay to wash your hair. The simplest way is just mix rhassoul clay with water and use that wash your hair. 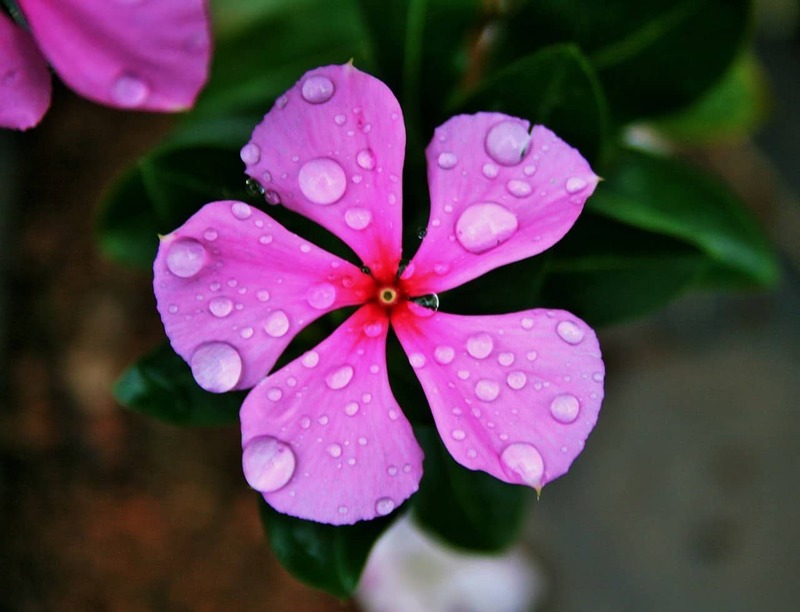 For an extra boost, use floral water or an herbal infusion instead of plain water. Here are some more ways you can use it. I have tried shower head filters in past, and they do help to a certain extent. Water filter vary in function and design. Some good ones are aquasana and culligan. But reverse osmosis filter system is said to the most effective. A few people also use water from filter jugs – hard work I would say and I have done it. Another option that is good for hair, but not so good for the environment is using bottled mineral water. You can use it as a quick fix or when you are traveling to a hard water area. Rainwater is soft water. And the best thing is it’s free! You can catch rain water in a wide mouth container and use that to wash your hair. It’s said to make your hair really soft and glossy. 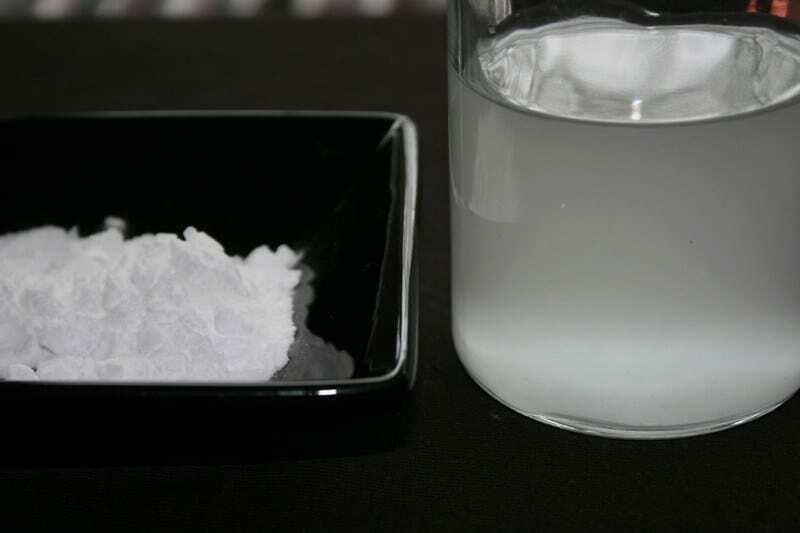 Many people have had successes with baking soda. But this is not a good option for those with dry, damaged hair as it can be a little harsh on such hair types. To make, mix 1 tablespoon baking soda with 2 cups of water and boil this mixture for 2 to 3 minutes. Let cool and use this to wash your hair. If this too doesn’t work, then try applying this mixture on dry hair (an in without wetting your hair). Work it into your hair and rinse off with plain water. You can then follow-up with an herbal hair rinse. This will not remove build-up from your hair, but it will surely pep your hair up. Why I don’t use lemon juice anymore? I have talked about using lime/lemon juice rinse in my previous posts on hard water, but I don’t use it anymore. After using it for few months, I realised that regular use of lemon can be drying for the scalp and hair. Has anyone else had this problem? Do you live in a hard-water area? What do you do to save your hair? I ditched the shampoos few months ago. The water in my area is very hard. I found the best shampoo replacement for my hair is the rye flour infusion . I put 1 tablespoon of whole rye flour to infuse in approx. 2 cups of warm water for at least 12 hours in a glass jar, then pass the water through a fine strainer to remove the flour bits and then use to wash my hair. My hair is very soft and clean. I occasionally use egg yolk mixed with honey or just egg yolk, my hair is clean and shiny but it can get frizzy and hard to control. Hi!thanks for all this great idea about hair care. I’m 58 years old,I used to dye my hair for a year,but one night at work ,I have a severe reactions that I almost died.so now I have gray hair about 80%. So I need help how can I dye my hair.naturally? As you have mentioned in this post that you wash your hair twice a week. I want to know what exactly that means? do you shampoo your hair twice a week or do you actually even take head bath only twice a week? I actually shampoo my hair twice a week but I take head bath daily. Is taking head bath daily and rinse hair just by pain water daily good or bad? I am living in Bangalore from past 3 years, its hard water in Bangalore and I have experienced severe hair fall since I have relocated to Bangalore. Prior to coming to Bangalore I had great hair. So what should I do?? Should I not rinse my hair daily in this hard water? Meanwhile I will follow the steps you have mentioned to reduce the harsh effect of hard water on my hair. One of my cousin moved to Banglore and he was having same hair fall issue, which is in control now. 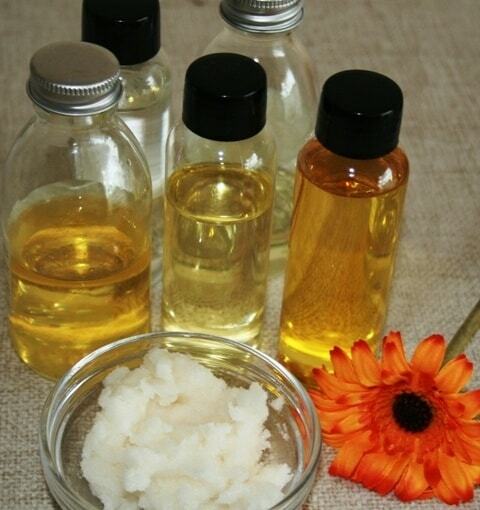 He applies coconut oil mixed with aloe vera gel after shower. 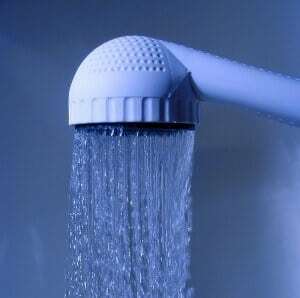 You can rinse your hair with water every alternate day, don’t do it every day. Wonderful tips indeed. Thank you so much for sharing them with all of us. I am going to try some of them and will let you know of the results soon. Thanks for nice tips.. I have started using lemon in my hair rinse and I don’t see any issue as such. I have heard green lemons are not good for hair and skin..Not very sure about it, but surely I am going to do more research on it now!! Great! Do share your findings with us. Reetha-Shikakai really works in hard water. I am a fan! I tried Ree-Shi shampoo as well and was really happy with the results. I am so glad I found this! There are so many good tips. Thanks for the great details!